Situated in lively Shepherd Market, Mayfair, Yazu Sushi is a small but excellent sushi bar offering quality food served in Kaiten style. Our sushi is made from only the freshest ingredients. 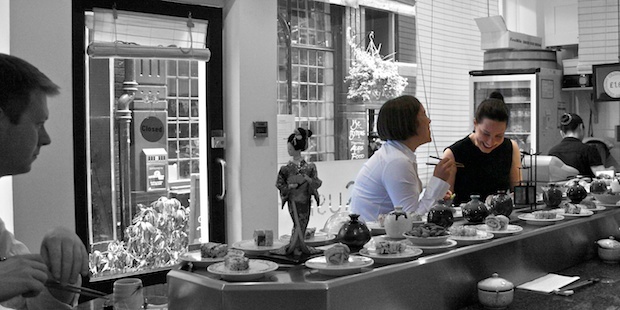 A friendly and welcoming little place with tastes to suit everyone from an absolute beginner to a sushi connoisseur.